Many businesses have an active, well maintained Social Media presence, often with very impressive engagement figures. One of the most common problems we find is the ability to reach full potential from the Search Engine Results Pages, due to a missing ingredient in the marketing mix; an onsite Blog. Blogging would enables a business to leverage their position on the Social Media sites, acquiring and sustaining a dominant Search Engine presence and substantially increasing the number of new visitors to the site. A Blog is a mechanism for creating articles, organised by subject, on a timescale. Its main purpose is to create a repository for articles, which can be pushed out to the various Social Media sites. Further it provides special landing pages for visitors, with the opportunity for unique targeted calls to action, to generate leads. Visitors from the Social Media sites, to the Blog landing pages, are pre-qualified and have a high probability of sale conversion, when the Blog is professionally managed. The current Social Media activity often links into the static content of a site, which is useful, however it does not send the correct quality signals to the Search Engines, blocking the ability to achieve better rankings in the Search Engine Results Pages. The Search Engines are looking for two factors when ranking sites on results pages. New, regular, original and interesting content, which they can surface. Quality signals about the content. A Blog is an effective way to satisfy the first factor, because it regularly generates new content, with a sufficient word count, to satisfy and index well in the search engines. It satisfies the second factor because of the relationship with Social Media sites due to quality signals. Quality signals are the cornerstone of the original PhD thesis, produced by Larry Page and Sergey Brin, founders of Google. Google looks at incoming links to content, assessing the quality of the incoming link site, based upon how authoritative these sites are. Content with many authoritative incoming links is deemed to have strong quality signals, so ranks above other content in Search Engine Results pages. Google weights the authority of Social Media sites very highly, because all content is guaranteed to be reviewed by real people, who have expressed an opinion on the content, by liking, following or linking to it. The issue for the many businesses is, Social Media users tend to like or follow the business Social Media page, rather than a Blog on the business website itself. Shifting a proportion of the likes onto Blog pages hosted on the business website, will send very strong quality signals to the Search Engines, enabling the most rapid turn around in its position on Search Engine Results Pages. The above table helps to demonstrate the relationship between Social Media, the hotels who have a blog and how well they feature in a Search Engine Results Page. Despite being the most popular hotel on Social Media, The Ritz ranks behind both The Dorchester and Claridges, because these sites have a Blog. These competitors are better able to transform their social presence into rank on the search engines. The impact is especially notable when looking at Browns Hotel’s modest social presence and how they can leverage it to be more authoritative than The Savoy. Helps to drive traffic to a website. Converts traffic effectively into leads. Establishes and maintains your authority. Drives the long term results. The next sections explain in detail the above points and how traffic is driven to websites in general. In order to drive more traffic, it is important to understand the ways in which a visitor can find a website and why each method is worthy of market promotion. Brand Search – a visitor types in a name to a search engine. This is the audience, which is already in hand. While promoting brand does not help get more traffic, as your business is already on the visitor’s radar; it does help to cement the brand and its values in the mind of the audience. Paying For and Developing an Email List. An approach which takes many years to develop and can be quite expensive. Excellent, once established, as it allows recipients to become promoters of the business easily, when they forward the emails to their own contacts. Guaranteed to produce a result but, can be extremely competitive and expensive to the point where it may not be worthwhile. 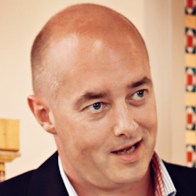 To be successful it requires a detailed strategy and considerable expertise in certain markets. Where a web developer makes sure the website follows best practice, so the content can be found, crawled and indexed correctly, which helps increase traffic and Search Engine Results Page position, if the content is of sufficient quality, regularly maintained and properly updated. The attract phase of the strategy requires a combined methodology, which is composed of Blogging, Social Media and Search Engines (Keywords). If a website is failing to attract new visitors, it is probably not implementing all three of the attraction pre-requisites. Generally, the most often overlooked is business blogging. The key factor, which drives successful acquisition in the search engines and social media, is the generation of new, original and interesting content. The search engines look for quality signals about content, these being incoming links from other reliable, certified content, which is highly authoritative. Quality signals, as a method of ranking web pages in search engines, is the cornerstone of the PhD thesis produced by Larry Page and Sergey Brin, the founders of Google. Today, Google’s search engine still complies with this founding principle. It is well established, Google gives the highest authority to content, which is well flagged in the social media channels, considering these sites to have the most reliable quality signals. The reason for this is content and links from Social Media sites are reviewed by real people. Over 75% of likes, tweets, pins etc, outside of existing social media sites themselves, come from blogs, yet over 80% of businesses do not have one. If a business, which struggles on the search engine results pages, has a website, which is 100% SEO compliant, with a Social Media presence but has no blog, then the need for a blog becomes obvious. Blogs come in many forms and the term can be used loosely – a site does not have to say it has a Blog, but if it is generating new content on a timescale, in the form of articles, then it can be considered a Blog. Every time a website creates a new Blog article, there is one more indexed page, with one more cue to the Search Engines the website is active and they need to be checking in frequently, to see fresh content, which needs to be surfaced. Every new indexed page creates authority, with the opportunity to show up in the Search Engines, driving traffic to the website through organic search. For Social Media promotion the Blog becomes the repository of content, rather than the scatter gun approach of spreading the content across the various social engines consequently diluting its potential. Often the Social Media pages for business are managed separately from the website itself, with the effect of promoting the Social Media site, while deprecating the business website. 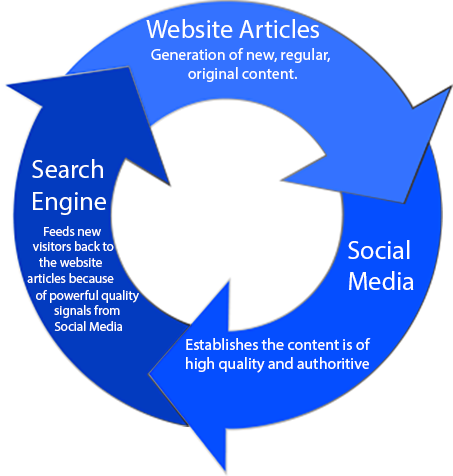 When the Blog content becomes the social repository, the opposite is true allowing the acquire phase to start. The business website begins to gain authority from the Social Media channels, driving in new visitors, who may otherwise have looked only at the business Social Media sites. These new visitors are pre-qualified leads, who can be converted more easily. They are also the ones who are very likely to go on to be promoters of the business, through the social media channels. If a business does not have a Blog then the marketing circle brakes, with much of the potential from efforts put into maintaining Social Media sites and SEO being wasted. 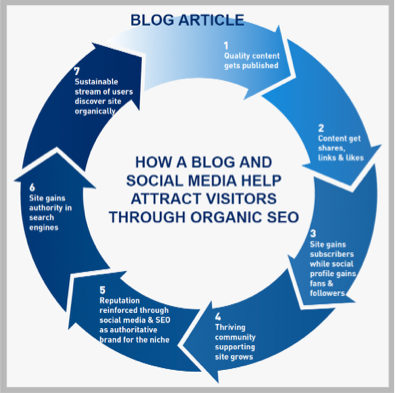 The principles of blogging drive a business into creating the new, fresh quality content, which is required to create successful visitor acquisition through both the Search Engines and Social Media Channels. How to convert blog traffic into leads. Just as every new article is another indexed page, each new article is also another opportunity to generate more leads. To be successful at lead generation, a simple strategy is called for – creative ‘calls to action’. Often an offer is required, remembering what is being asked for at this stage: simple contact information from the visitor. The offer has to properly motivate the visitor. The invitation is perceived as a free, attractive offer to like, tweet or follow in a social ‘currency’. An offer can be any content asset, for which a visitor would be willing to exchange their information, e.g. white papers, fact sheets, webinars, videos, trials etc. ‘Visitor to lead’ conversion is the key metric, to measure Blog success. Every Blog article should have a ‘call to action’, while specific micro sites should be created, as the prime drivers for ‘visitor to lead’ conversion, ‘lead to customer’ conversion and eventual promoters of the business through Social Media. The best business Blogs answer common questions their leads and customers have. If the business is consistently creating content which is helpful for the target customer, it establishes the website as an authority in their eyes, making it a particularly valuable asset for Sales and Service professionals, when trying to convert leads into customers. Creating regular Blog posts, which cover frequently asked questions and having personalised articles from people who work in the business, build the best possible authority for the website, establishing the repository most Social Media and Search Engine users are looking for. Established authority is a ‘fluffy metric’ to measure, but it is powerful when combined with a collection of valuable offers, which have high ‘visitor to lead’ conversion rates and micro sites driving the ‘lead to customer’ and promoter conversion process. It is typical for a blog to get 70% of its traffic from articles published in previous months. In fact, if the marketing circle for Blogs is properly implemented this is to be expected, because after a while, the post becomes indexed in the Search Engines, generating traffic long after it has slipped out of sight in the Social Media timeline. For example: A Blog article receives 100 views and 10 leads on the first day, another 50 views and 5 leads over the following days, as a few more people find it on social media and some of the subscribers get caught up via email and RSS. After a couple days, most of the fanfare from the post dies down and the net engagement is 150 views with 15 leads. However the story is not over because, the article has become indexed on the Search Engines. Over time it is not unusual for an article to generate ten times the initial engagement. In terms of metrics it is important to consider both the short term impact of each Blog article and the longer term effect of the Blog on engagement over time. Return on investment varies, depending on the offering.